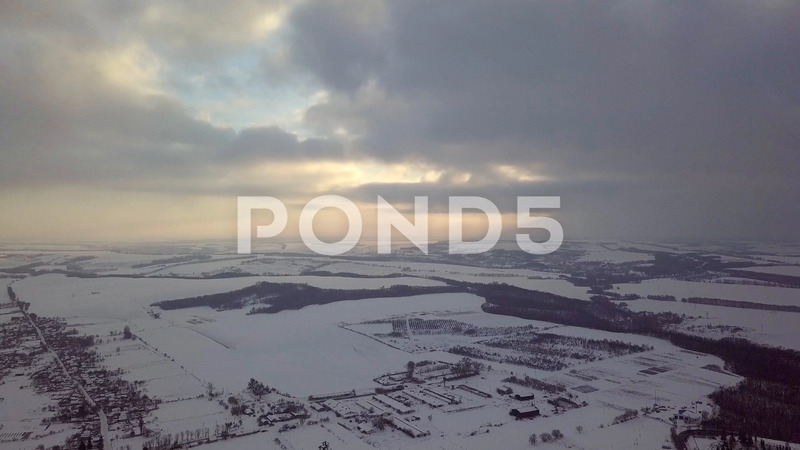 4K Aerial Video. Winter Landscape On The Village And River. Warm Sunset Light. Description: 4k aerial video. Winter landscape on the village, hill and river. Warm sunset light.